COLUMBUS — Hon. Howard H. Harcha III of Portsmouth has been elected to serve as the District 8 representative on the Board of Governors of the Ohio State Bar Association. District 8 includes 324 attorneys who reside or practice in Adams, Brown, Gallia, Highland, Jackson, Lawrence, Pickaway, Pike, Ross, Scioto and Vinton counties. 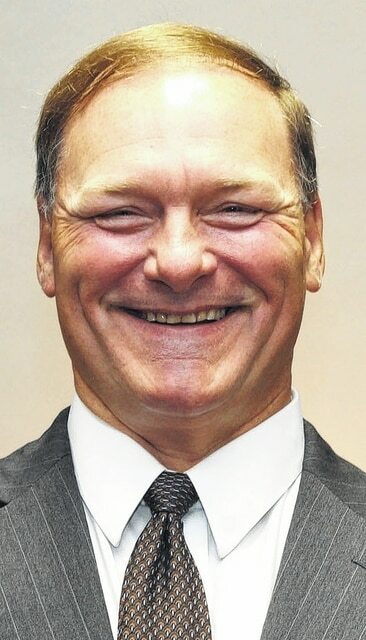 Judge Harcha, who has served on the Scioto County Common Pleas Court since 1997, completed the term of attorney T. Todd Book, and was recently elected by area lawyers at an OSBA district meeting to begin a new three-year term. Judge Harcha served as a member of the OSBA Council of Delegates from 2009 to 2013. A member of the Ohio Judicial Conference Executive Committee since 2007, he also has served as co-chair of the OJC’s Committee on Community Corrections. He served on the American Judges Association Board of Governors from 2002 to 2008 and has served on its Court of Appeals since 2010. A past president of the Ohio Common Pleas Judges Association, he has also served on that association’s board of trustees. In addition, he served on the Ohio Supreme Court Committee for Attorney Specialization from 2004 to 2008 and was a member of the Ohio Academy of Trial Lawyers Board of Trustees from 1986 to 1989.